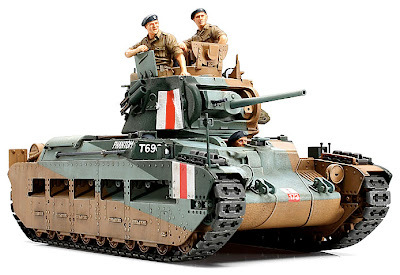 AFV model builders will be pleased with the effort that Tamiya has put in to this 1:35 scale British Matilda tank. In its World War II fighting days, the Matilda became known as the ‘Queen of the Desert’ for action in North Africa, though it was in service throughout the war. 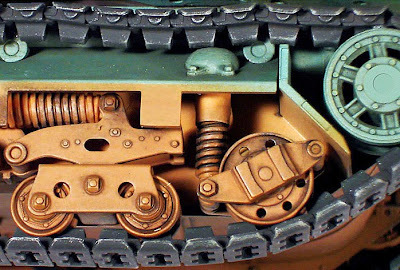 In all, 2987 Matildas were built, but the tank did have some weaknesses, including a complex suspension system that demanded heavy maintenance, as did the two diesel engines. Tamiya’s model captures the look of the 25-tonne machine well, and is beautifully detailed, scaling out to a length of 174 mm (6.8 in). There are three nicely sculpted crewmen, a commander, loader and driver; the first two are figures, the driver is just a head and torso, poor chap. A useful little extra in the box is a pair of photo-leaflets featuring more than two dozen close-up shots of the real thing - a nice touch for us super-detail freaks. 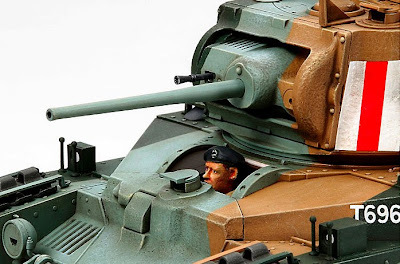 The surface finish of the tank deserves a mention - the dimpled armour-plate has been captured very well indeed, and you can feel the texture when you run your fingertips across it. Well done, Tamiya. 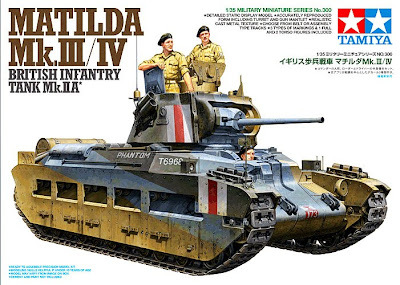 The Tamiya 1:35 scale Matilda tank is available now from stores and online suppliers, including Amazon here.